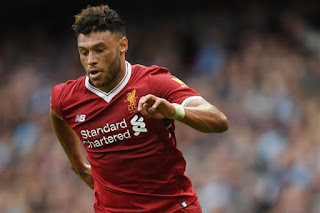 Ox left Arsenal after falling to nail down a first-team spot and his old boss Wenger said: "What do you want to be, a big player and not have to fight? "You can't be a big player, sit in your rocking chair and say I do not want to fight." "It doesn't work like that. Every player has to fight." "I am convinced it is an important part of bring a top player." Arsene Wenger continued: "If he sure of a place there? You are sure of a place nowhere. "In a big club you have a big competition with some good players. That is absolutely normal." The Arsenal Boss also admit he never wanted the England Man to leave. He said: "I offered him a contract to stay but in the end he decided to go and we just had to try and get the best possible price." "Sometimes it happens when one player who we don't want to go, goes. "We respect his decision and I have no problem with that. What's important is that the player make a good career, preferably in your club." "If it doesn't happen, you will want them to have a good career. "I personally think he will be an important player for England and will continue to develop."